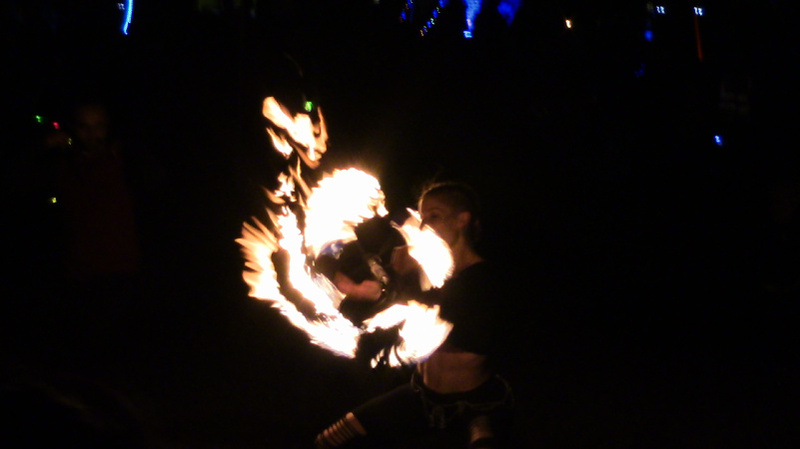 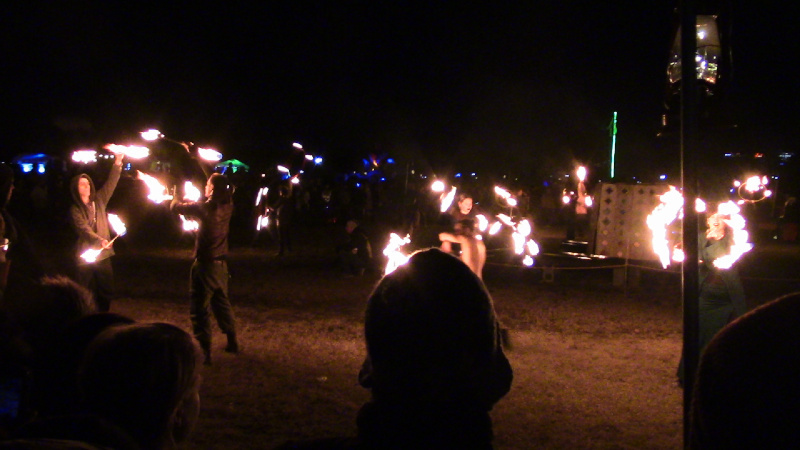 On the 10th of November, Cartharsis on the Mall held their annual "burn night fire festival and bonfire. 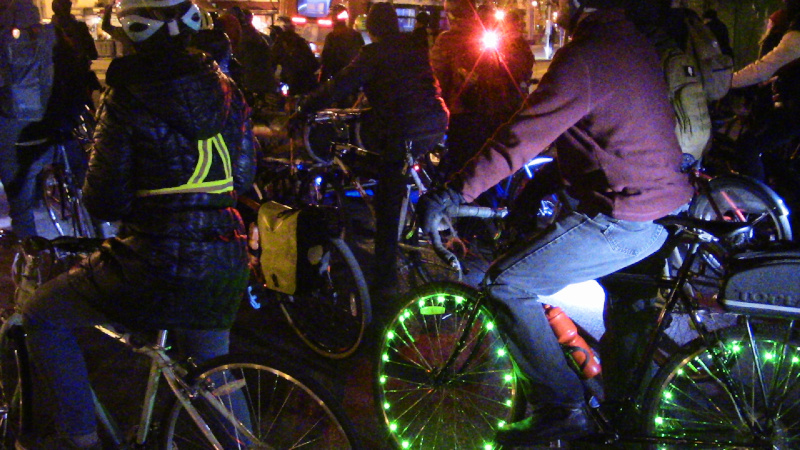 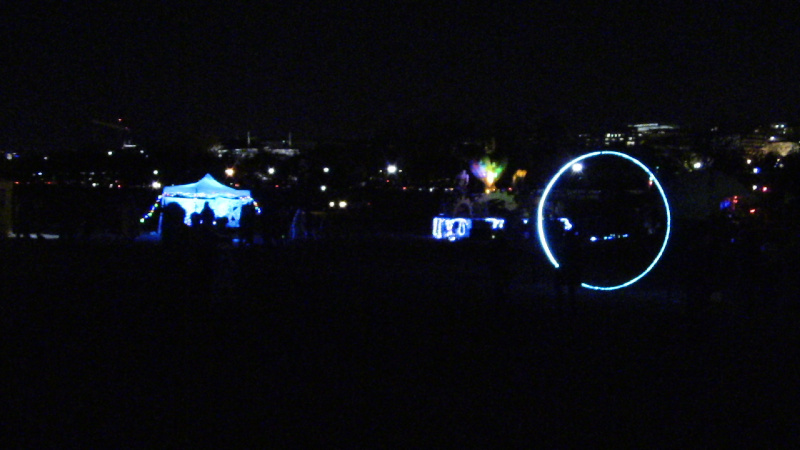 The DC Bike Party rode to the event, arriving shortly before the fire spinners started. 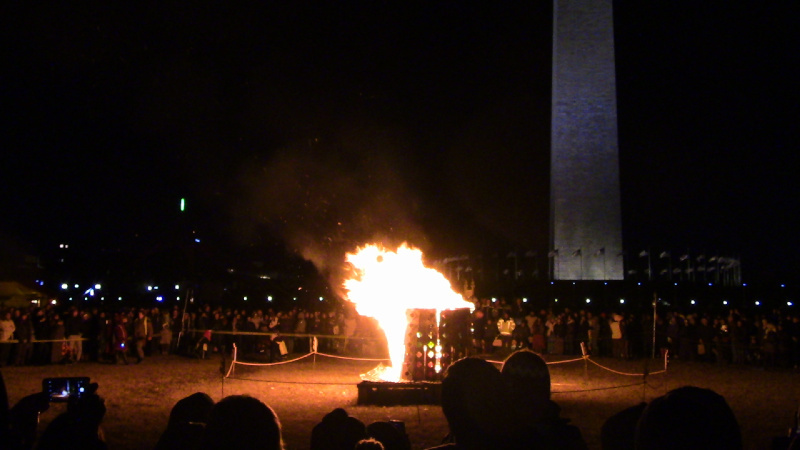 When they finished, one of them ignited the "Temple Burn" bonfire. 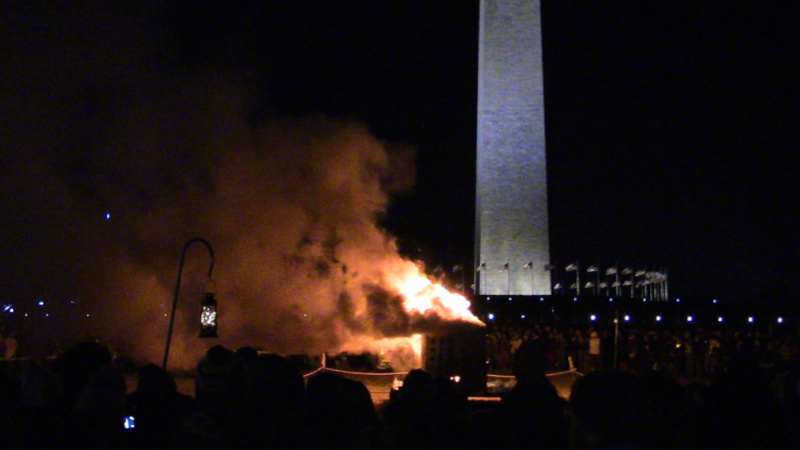 The fire started slow and smoky before accelerating into spectacular flames.